This shop serves fish selected by the shop owner himself every morning at the seashore auctions in Himi Port. There are omakase (chef's choice) dishes made with seasonal fish, and a set course that changes every month, letting you taste the best in fresh local fish from Himi, a treasure trove of seafood. 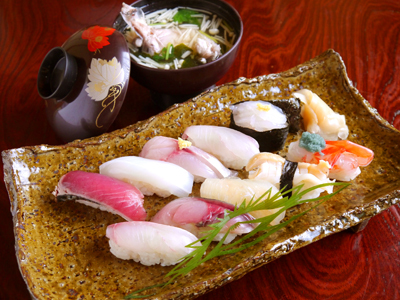 With many different kinds of local sake, the shop owner will also recommend what liquor goes the best with each topping.